The marriage ceremony was arranged, as a member of parliament, Labouchère arranged for the Chaplain to the House of Commons to marry the couple. No publicity was given to the ceremony to avoid the possibility of a furious Maud Franklin interrupting the marriage ceremony. The marriage took place on 11 August 1888, with the ceremony attended by a reporter from the Pall Mall Gazette, so that the event receive publicity. The couple left soon after for Paris, to avoid any risk of a scene with Maud. Dorment, R and MacDonald, M. F. (1994). James McNeill Whistler. London: Tate Gallery.ISBN 1-85437-145-2. Glazer, Lee, et al. (2008). 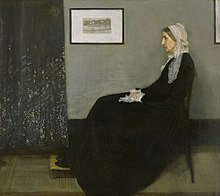 James McNeill Whistler in Context. Washington D.C.: Smithsonian Institution.ISBN 978-0-934686-09-9. Robins, Anna Gruetzner (2007). 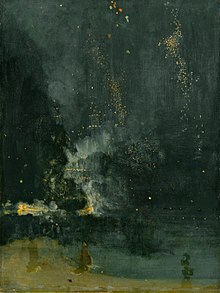 A Fragile Modernism, Whistler and his Impressionist Followers. Yale University Press.ISBN 978-0-300-13545-9. Sutherland, Daniel E. and Toutziari, G. (2018). James McNeill Whistler. Yale University Press.ISBN 978-0-300-20346-2. Young, MacDonald, Spencer, Miles (1980). 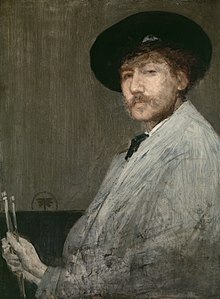 The Paintings of James McNeill Whistler. Yale University Press.ISBN 0-300-02384-7.